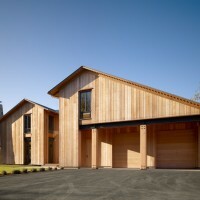 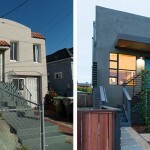 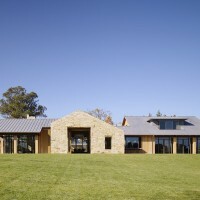 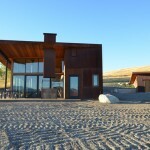 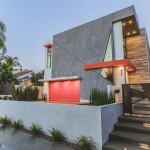 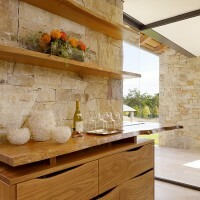 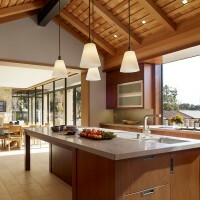 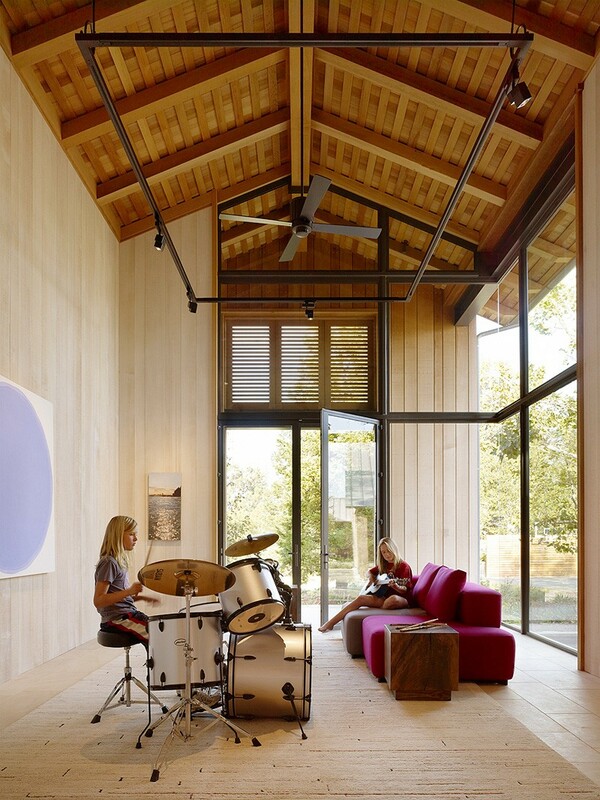 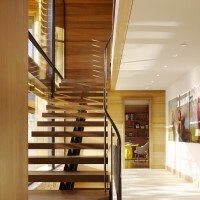 Walker Warner Architects have designed a home located in the town of Woodside, California. 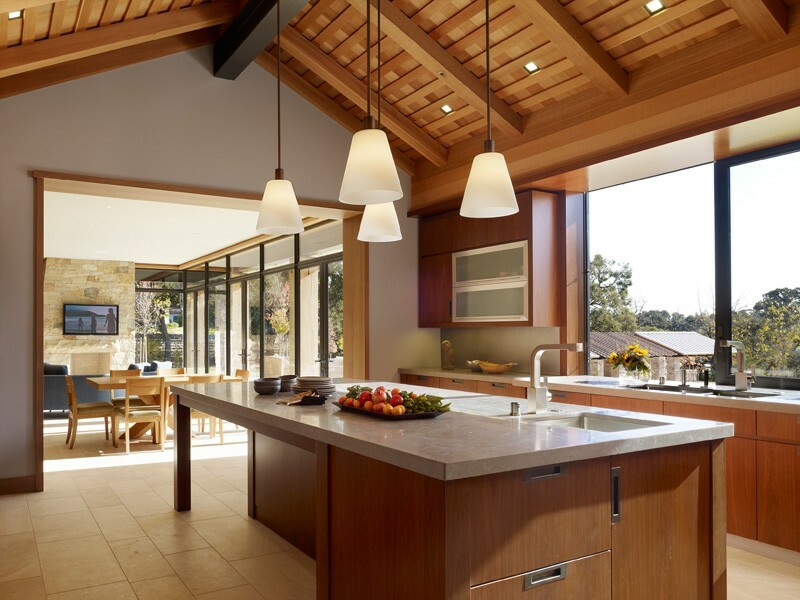 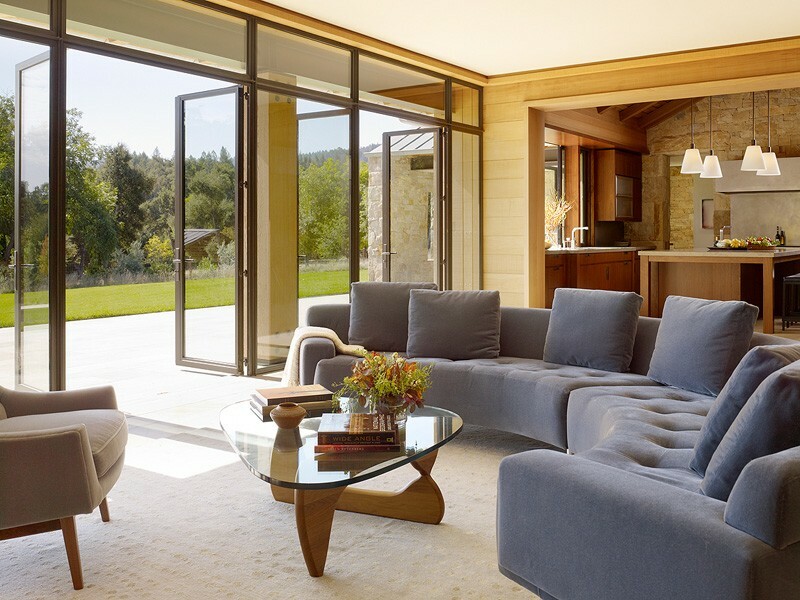 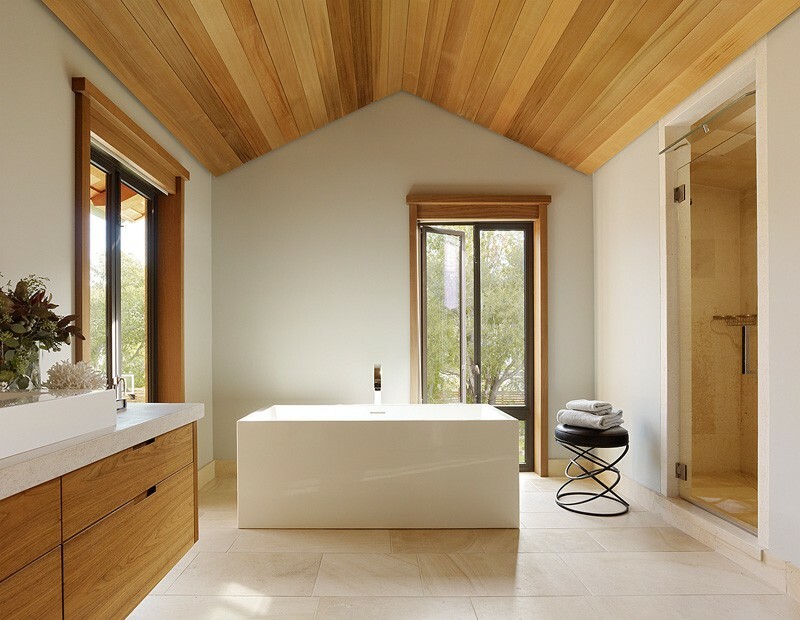 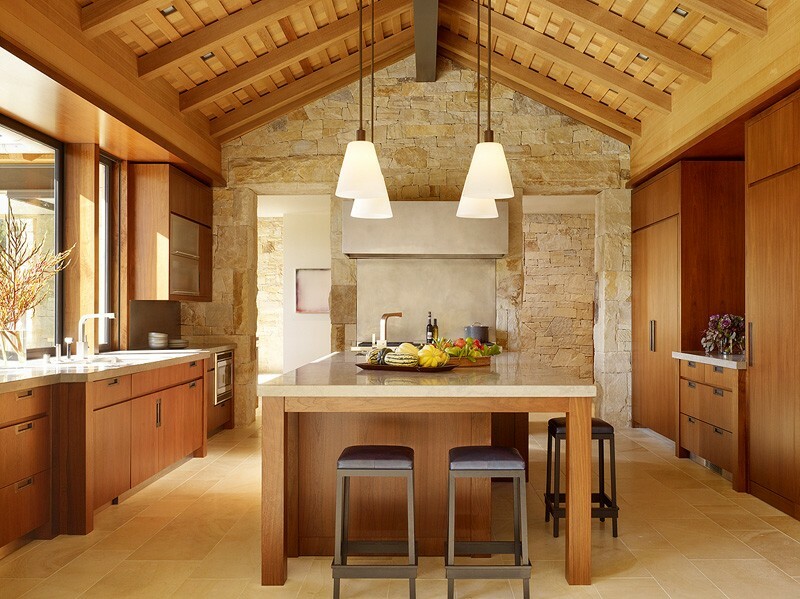 The Mountain Wood residence embodies the San Francisco firm’s belief that architecture should be expressive, timeless, and always united with the natural beauty of the site—in this case, the small rural town of Woodside, California. 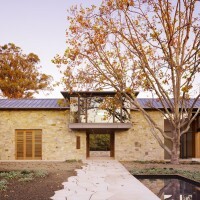 To create a variety of complementary indoor and outdoor living experiences, Walker Warner arranged three zinc-roofed structures—a main house, an office, and a barn—around a loose central courtyard. 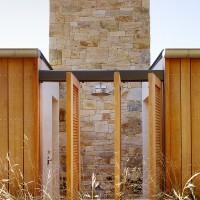 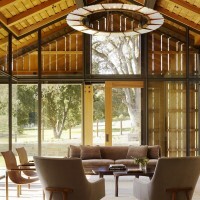 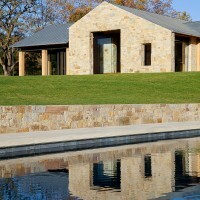 The fourth structure—a pool house—comprises a row of three pavilions, constructed of the same understated material palette of wood, stone, glass and steel, as the main buildings. 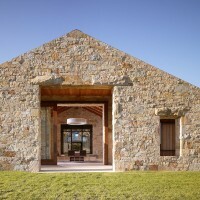 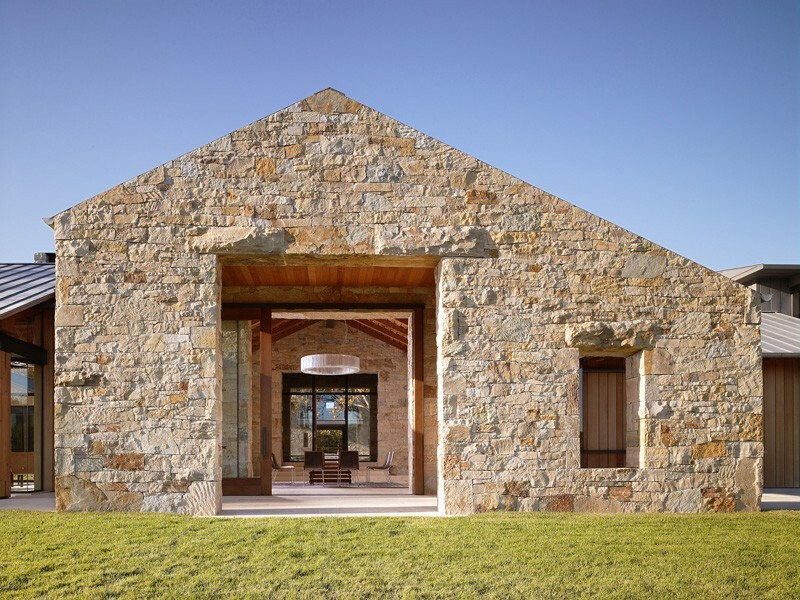 The rustic stone barn, reminiscent of a beautiful ruin that has long stood on the land, stands at the front of the property, acting as a visual threshold and symbol of the updated rural vernacular. 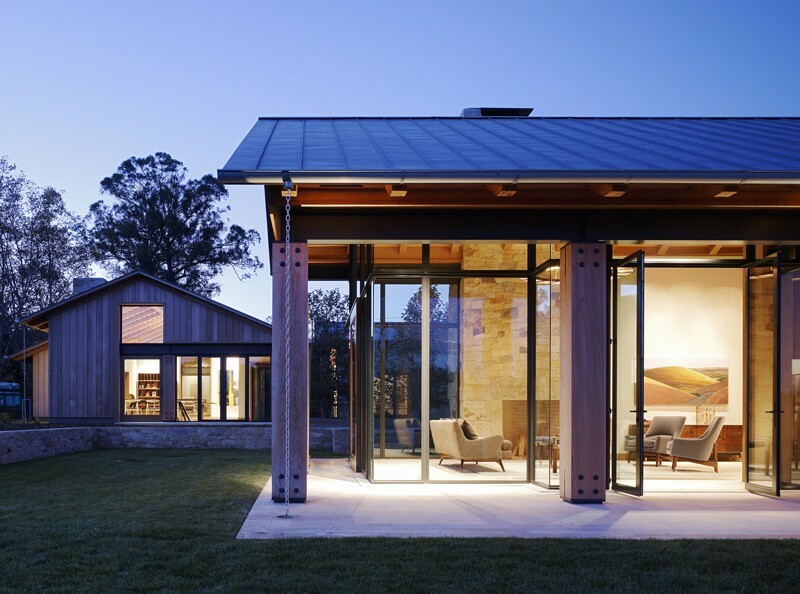 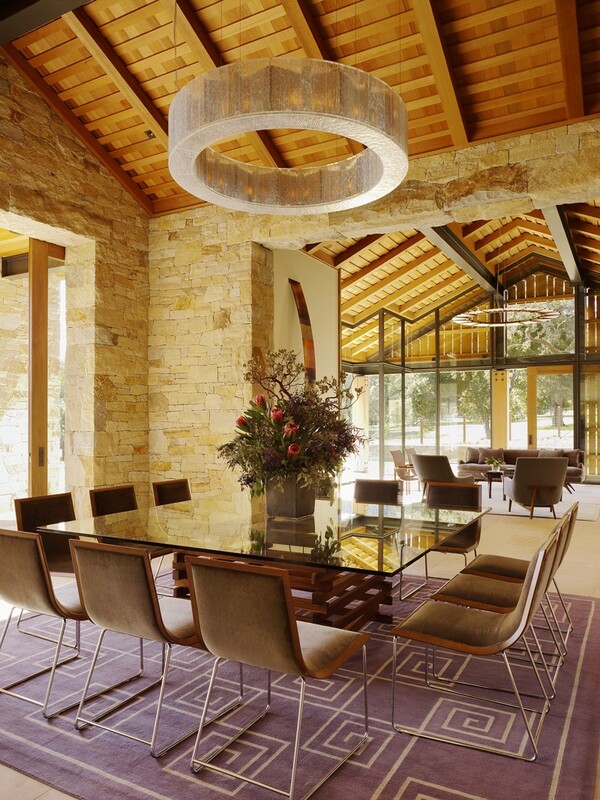 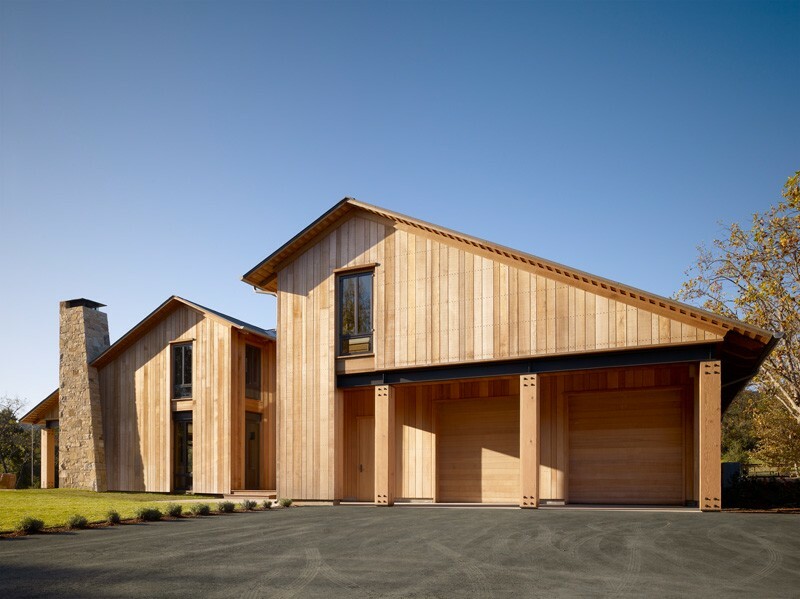 An open passageway through the barn creates a dramatic frame of the entry facade of the main residence, which is contrastingly contemporary with its exposed steel and large expanses of glass. 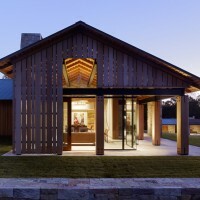 At sundown, the house appears like a jewel box in the woods. 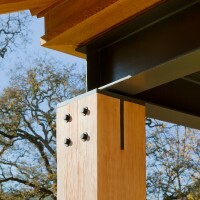 Having completed other projects in Woodside and similarly picturesque locations, Walker Warner knows properly framing these views is crucial to properly contextualizing the building. 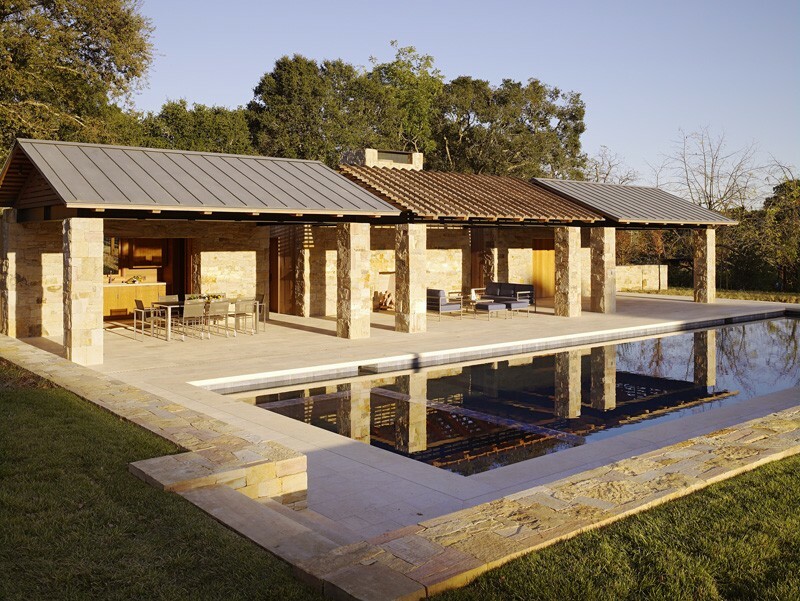 Walker Warner drew from the rustic surroundings and determined appropriate lines and forms for this particular landscape that spoke to their client’s vision, all the while incorporating the highest levels of quality, integrity and craftsmanship. 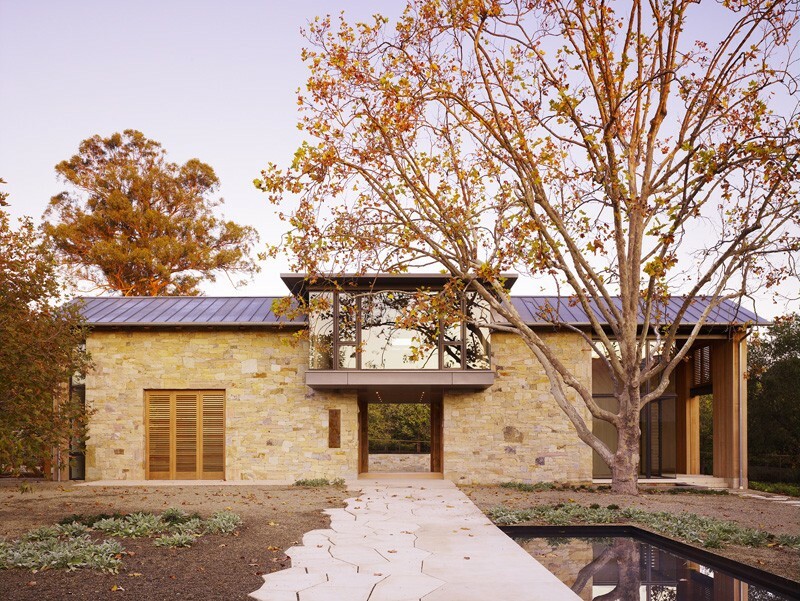 The result is an artful, tranquil home with a respectful nod to the regional agrarian compounds and iconic forms that came before.